It’s a new year and at Bala we’re excited about the next 12 months and the introduction of new products and expanding our schools client base. We currently have the following opportunities to engage with us and help provided a fairer deal for sports ball workers in developing countries. Bala Sport is building a strong reputation amongst schools as a source of high quality Fairtrade sports balls and is about to add some free educational resources to compliment the current range of footballs. 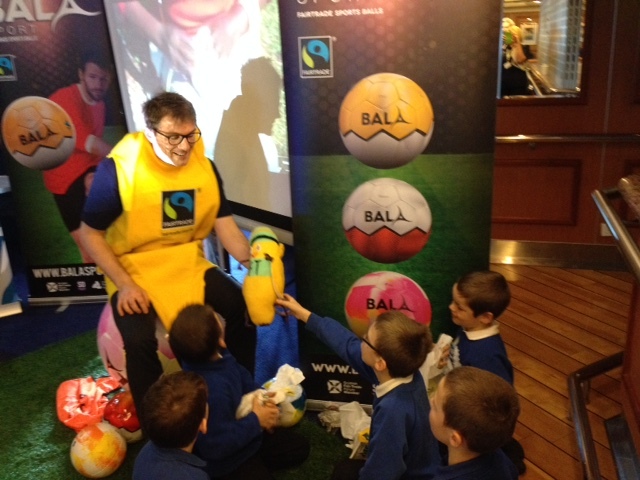 The main purpose of the role is to liaise with schools and produce a suite of educational resources around Fairtrade sports balls and to gain some marketing insight into schools sports ball requirements. We are keen to find someone who can combine knowledge and experience in primary school education, ideally including PE and football, with knowledge and understanding of the Fairtrade system and its values. Additionally, skills and experience in graphic design including the production of info-graphics are strongly desirable. The job will be based at Bala’s Glasgow office and the hours and days worked are flexible over a 10 week period and the rate of pay will be £9/hour. Download a position description. For further information and to apply send a CV or contact: Angus Coull, Joint MD, Bala Sport on or call 0141 628 7424. Deadline for applications, 16/1/17. We are looking to recruit two volunteers to work two days a week at our Glasgow office. If you are keen on Fairtrade, interested in football and other ball sports and have social media (and preferably graphic design experience) we’d love to hear from you. Download a position description. For further information and to apply contact: Angus Coull, Joint MD, Bala Sport on or call 0141 628 7424.